Van Ness Feldman helps clients navigate the complicated and ever-evolving world of federal funding. In recent years, the firm has helped clients secure nearly $3 billion in federal funding through agency-led solicitations; Congressional authorizations, appropriations, and member-directed spending; loan guarantees; tax credits; grants; and federal procurement contracts. The firm also represents clients who benefit from programs that receive hundreds of millions of dollars in appropriations annually, and billions of dollars in tax benefits from programs that the firm has helped to develop and advocate. In the new era of government funding, the focus on deficit reduction in Washington politics is forcing a series of changes in the way federal funding has been traditionally made available. With increased pressure to reduce federal spending and a moratorium on the Congressional practice of earmarks, accessing available federal funds and leveraging those resources requires new and innovative approaches. Van Ness Feldman has helped secure federal support for energy, infrastructure, and transportation projects, as well as for research and commercialization of advanced energy and environmental technologies. Van Ness Feldman’s experience enables the firm’s team to identify and pursue creative solutions to federal funding needs in the face of the recent ban on Congressionally-directed spending and severe budget reductions mandated under the Budget Reform Act of 2011. Finalizing award contracts between clients and government agencies and managing ongoing compliance and reporting requirements of such agreements. For current opportunities, visit the Federal Funding section of the Knowledge Center. Click here to learn more about how to apply for funding. Click here for the Federal Funding Opportunities Update. Federal agencies have enormous discretion in allocating federal funding in this new atmosphere. Van Ness Feldman’s substantive experience with these agencies – including offices and programs of the Departments of Energy, Defense, Interior, Transportation, Agriculture, the U.S. Environmental Protection Agency and others – coupled with the firm’s understanding of complicated agency budget processes and programs yields numerous advantages for clients. Van Ness Feldman can seamlessly identify opportunities, help clients solicit those opportunities, evaluate and implement strategies to ensure clients are better positioned among their competitors in a bid for federal funds, and, upon award, negotiate the requisite agency contracts. Strong relationships with these agencies also ensure that agency personnel understand how clients’ interests align with agency priorities before the agency process of reviewing applications, allocating resources, and making awards. Even with the new focus on federal agencies, Congress holds the power of the purse and is responsible for overseeing Agency allocation of funding. We provide full support for our clients’ Congressional activities in securing federal resources to support their interests through the authorization and appropriations processes. The firm has extensive experience in successfully advocating for new program authorizations, and in defending existing programs targeted for elimination. Whether playing “offense” or “defense,” Van Ness Feldman works with clients to develop targeted initiatives, builds the public policy rationale for the initiative, pursues legislative opportunities, and engages with Congress in advocating for program authorizations to support our client’s interests. Van Ness Feldman has a strong record of success in representing its clients on federal appropriations matters. The firm identifies opportunities, prepares advocacy materials necessary to support an appropriation, assists clients in presenting their case to both the Administration and Members of Congress, understands how to impact the timing of Congressional action on appropriations measures, and ensures that clients receive the appropriation they need. 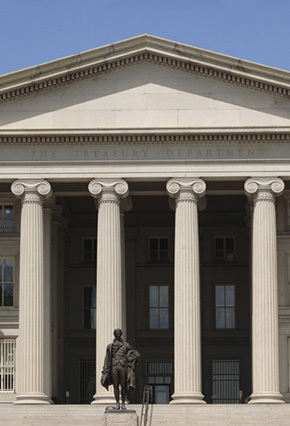 In addition to direct funding sources, Van Ness Feldman has substantive tax expertise and excellent relationships with the Congressional tax-writing committees and the Treasury Department. Applying the firm’s core expertise in the energy and environment arena, Van Ness Feldman has expanded the Internal Revenue Code on behalf of clients to include tax incentives, including bonds, that promote energy project development, tribal and native corporation investment, and environmental compliance.